The Boreal Songbird Initiative (BSI) is a non-profit organization dedicated to education and outreach about the importance of the North American Boreal Forest to birds, other wildlife, and the global environment. Our mission is to protect critical bird habitat within the boreal forest for the billions of birds that call the boreal home. We support the Boreal Forest Conservation Framework, which calls for the conservation of at least 50% of the boreal forest and the application of leading-edge sustainable development standards in the remaining lands. The boreal forest—North America’s bird nursery—is a biodiversity hotspot that sustains billions of migratory birds and countless other wildlife. The race to develop the boreal forest is on, and without science-based conservation strategies much of the forest and the countless values it provides will be gone before we know it. Why is a United States-based organization working on Canadian forests? The North American Boreal Forest—the majority of which is in Canada—is the largest intact forest left on Earth and is critical to North American birds. It also stores remarkable amounts of carbon and is the largest source of unfrozen fresh water on Earth, helping to keep our planet cool and our waters pure. Although we are primarily driven by the need to conserve boreal bird habitat, we recognize that these other values are also important reasons for conserving large portions of this majestic forest. International attention is a key part of conserving the Canadian boreal in large part due to the volume of trade between the U.S. and Canada. Consumer choices made in the United States are driving much of the demand for the resources of the boreal. The U.S. purchased more than 60% of Canadian forest exports in 2010, most of it cut from the boreal. Large amounts of the paper Americans receive every day as junk mail, advertising inserts and catalogues comes from Canada's boreal forest. Yet little of the paper that newspapers and catalogues are printed on is recycled. We import more oil and gas from Canada than any other country, consuming billions of dollars in Canadian energy products each year. 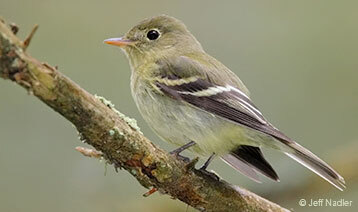 The historical international focus of United States-based birding and naturalist groups has to date been focused on the wintering grounds of many North American migratory birds further south. However, it is increasingly apparent that our attention must also focus north on areas such as the boreal forest, where the majority of our migratory birds breed, as well. BSI operates and is tax exempt under section 501(c)(3) of the Internal Revenue Code. 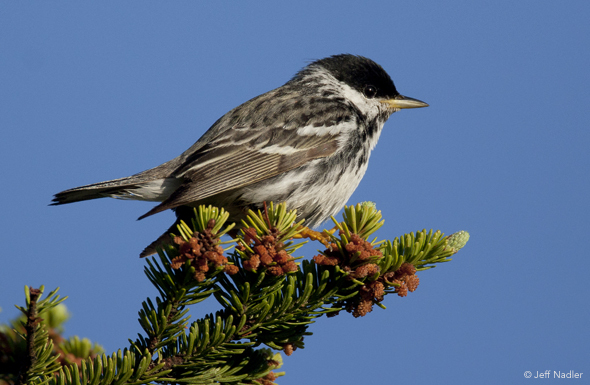 Learn more about boreal birds and the importance of their North American Boreal Forest home.